Police intelligence operatives were then dispatched to Angeles and found Mr. Jabouri, who gave up peacefully. He was carrying luggage that contained personal items and different denominations of foreign currency, the police said. Mr. Jabouri admitted while being interrogated that he had served as a consultant for Hamas in Syria before moving to Turkey in 2012. “He also said that he traveled to Manila to meet a Chinese business group that hired him as a consultant,” Director General dela Rosa said, without identifying the group. A police intelligence official, who spoke on the condition of anonymity, said investigators were also checking whether Mr. Jabouri had made any connections to local militant groups, noting that his visit came as the country was fighting Islamic State-linked Filipino militants, backed by foreign fighters, who had taken over the southern city of Marawi. The fighting, which left at least 1,200 people dead — most of them militants — was declared over in October, although security forces have said nearly 200 Filipino militants who took part in the siege escaped and remained at large. The arrest came after a year in which the Philippines has grappled with deadly bombings. In May 2017, the police in Manila placed the crowded Quiapo district under lockdown after two bombs exploded within hours of each other near a Muslim center. Two people were killed, and six others, including two police officers investigating the first blast, were hurt. A month before those blasts, a pipe bomb also exploded in Quiapo, injuring a dozen people. The Philippine police had sought to play down the attacks, saying they did not appear to be connected. But six months earlier, in November 2016, the authorities prevented a bombing when they recovered a powerful explosive device near the American Embassy in Manila. 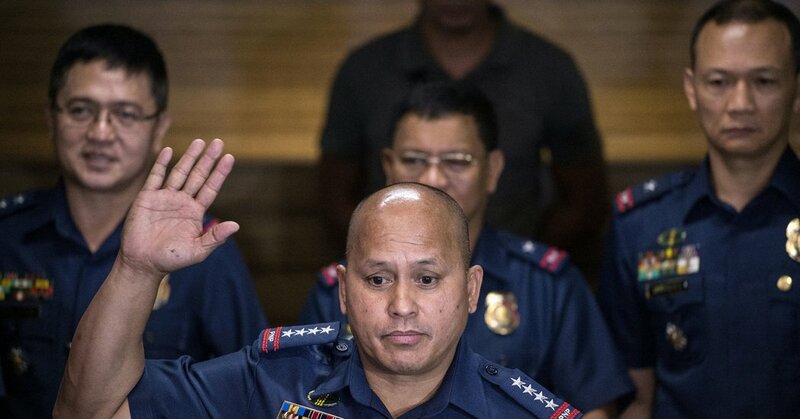 Director General dela Rosa tied that bombing to a Muslim militant faction that would later help lead the Marawi insurgency. October 26, 2018 Comments Off on Netflix’s Audience Is Multiplying. But So Is Its Debt.